The source said 100 people, whom he called jihadis, were blocking the road, but added that the matter is in the hands of the president and judiciary, which six months ago agreed to hold retrials for the accused. “If we agree to release them, they will demand their acquittal,” the source said. The bombings took place on 7 October 2004, one day after Egypt marks the anniversary of its successful crossing of the Suez Canal in the 1973 war against Israel. The Taba bombings killed 38 people, including 18 Egyptians and 12 Israelis. 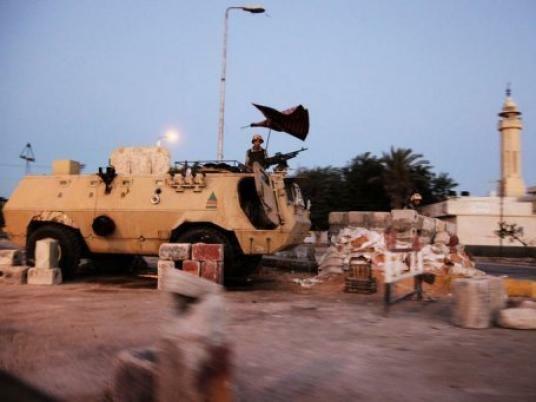 Disorder has spread in Sinai since a popular uprising ousted autocrat Hosni Mubarak last year. In August, Islamist militants killed 16 guards at the Egypt-Israel border.